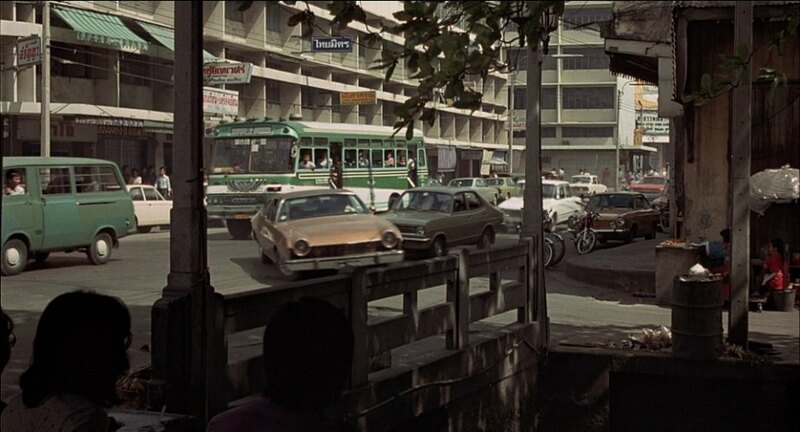 IMCDb.org: Hino unknown in "The Man with the Golden Gun, 1974"
Could this be a Japanese bus? Not neccessarily Japanese, but Asian for sure, as it's filmed in Thailand Even more than 35 years later, the local tourism referres to this movie: http://en.wikipedia.org/wiki/H%E1%BA%A1_Long_Bay There are still many thousands of tourists, who are visiting the "James Bond Rock" there As the (faked) River Kwai Bridge, too. Has anyone noticed the Fiat 850 Coupé in the background?